Rescued by Calvin McLoughlin from a would-be subway attacker, Holland Bakker pays the brilliant musician back by pulling some of her errand-girl strings and getting him an audition with a big-time musical director. When the tryout goes better than even Holland could have imagined, Calvin is set for a great entry into Broadway—until he admits his student visa has expired and he’s in the country illegally. Holland impulsively offers to wed the Irishman to keep him in New York, her growing infatuation a secret only to him. As their relationship evolves from awkward roommates to besotted lovers, Calvin becomes the darling of Broadway. In the middle of the theatrics and the acting-not-acting, what will it take for Holland and Calvin to realise that they both stopped pretending a long time ago? 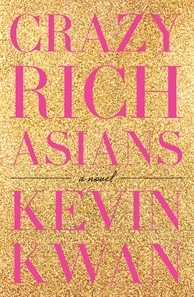 Kevin Kwan, bestselling author of Crazy Rich Asians and China Rich Girlfriend, is back with an uproarious new novel of a family riven by fortune, an ex-wife driven psychotic with jealousy, a battle royal fought through couture gown sabotage, and the heir to one of Asia's greatest fortunes locked out of his inheritance. When Nicholas Young hears that his grandmother, Su Yi, is on her deathbed, he rushes to be by her bedside--but he's not alone. It seems the entire Shang-Young clan has convened from all corners of the globe, ostensibly to care for their matriarch but truly to stake claim on the massive fortune that Su Yi controls. With each family member secretly fantasizing about getting the keys to Tyersall Park--a trophy estate on 64 prime acres in the heart of Singapore--the place becomes a hotbed of intrigue and Nicholas finds himself blocked from entering the premises. As relatives claw over heirlooms, Astrid Leong is at the center of her own storm, desperately in love with her old sweetheart Charlie Wu, but tormented by his ex-wife — a woman hell bent on destroying Astrid's reputation and relationship. Meanwhile Kitty Pong, married to billionaire Jack Bing, finds a formidable opponent in his fashionista daughter, Colette. A sweeping novel that takes us from the elegantly appointed mansions of Manila to the secluded private islands in the Sulu Sea, from a schoolyard kidnapping to a gold-leaf dancefloor spattered with blood, Kevin Kwan's gloriously wicked new novel reveals the long-buried secrets and rich people problems of Asia's most privileged families. Lucy Hutton has always been certain that the nice girl can get the corner office. She prides herself on being loved by everyone at work - except for imposing, impeccably attired Joshua Templeman. Trapped in a shared office, they've become entrenched in an addictive, never-ending game of one-upmanship. There's the Staring Game, The Mirror Game, The HR Game. Lucy can't let Joshua beat her at anything - especially when a huge promotion is on offer. If Lucy wins, she'll be Joshua's boss. If she loses, she'll resign. So why is she questioning herself? Maybe she doesn't hate him. And just maybe, he doesn't hate her either. Or maybe this is just another game . 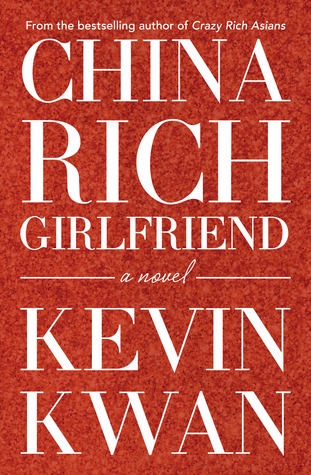 . .
Synopsis: “Kevin Kwan, bestselling author of Crazy Rich Asians, is back with a wickedly funny new novel of social climbing, secret e-mails, art-world scandal, lovesick billionaires, and the outrageous story of what happens when Rachel Chu, engaged to marry Asia’s most eligible bachelor, discovers her birthfather. MEET DON TILLMAN, a brilliant yet socially challenged professor of genetics, who’s decided it’s time he found a wife. And so, in the orderly, evidence-based manner with which Don approaches all things, he designs the Wife Project to find his perfect partner: a sixteen-page, scientifically valid survey to filter out the drinkers, the smokers, the late arrivers. Rosie Jarman is all these things. 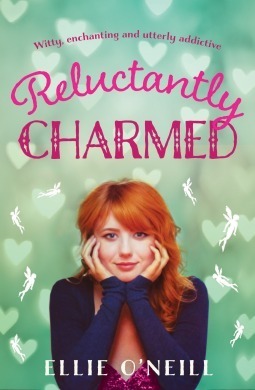 She also is strangely beguiling, fiery, and intelligent. And while Don quickly disqualifies her as a candidate for the Wife Project, as a DNA expert Don is particularly suited to help Rosie on her own quest: identifying her biological father. 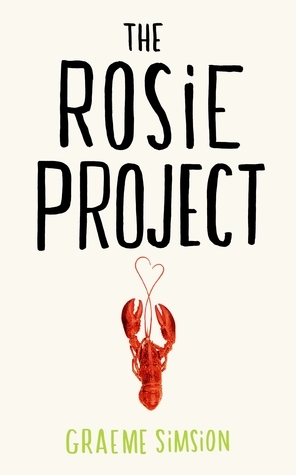 When an unlikely relationship develops as they collaborate on the Father Project, Don is forced to confront the spontaneous whirlwind that is Rosie—and the realization that, despite your best scientific efforts, you don’t find love, it finds you. Synopsis: “Kate McDaid is listing her new-year’s resolutions hoping to kick-start her rather stagnant love life and career when she gets some very strange news. To her surprise, she is the sole benefactor of a great great-great-great aunt and self-proclaimed witch also called Kate McDaid, who died over 130 years ago. As if that isn’t strange enough, the will instructs that, in order to receive the inheritance, Kate must publish seven letters, one by one, week by week. As events become stranger and stranger – and she discovers things about herself she’s never known before – Kate must decide whether she can fulfil her great-aunt’s final, devastating request … and whether she can face the consequences if she doesn’t. Synopsis: “Nina Dall is one half of Sydney pop-punk band The Dolls. Have they got what it takes to stay on top or are they just a one hit wonder? 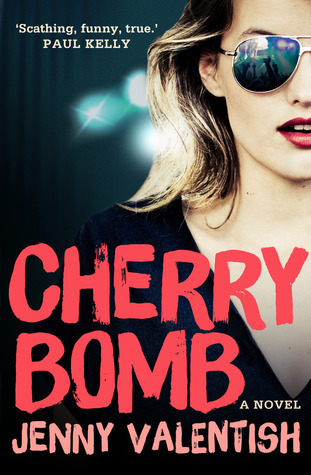 Told through the eyes of a young singer who’s seen it all, this is celebrated rock journalist Jenny Valentish’s debut novel – a wild ride into Australia’s music scene. Nina Dall has seen it all by her twenty-first birthday, including her own meteoric rise to fame and its inevitable aftermath. She created teen band The Dolls to escape suburban hell. Now she needs to prove she’s not a one-hit wonder and convince veteran producer John Villiers to be her own personal svengali. But he’s got his own problems. Rose Dall craves adoration, and through The Dolls, she gets it. But with the band’s every move coming under media scrutiny and cousin Nina going off the rails, she’s pushed to breaking point. Can The Dolls survive each other? Alannah Dall had a pop career in the 1980s before disappearing from public view. She’s resurfaced to steer her nieces away from the same scandals, but with her own comeback on the cards, The Dolls start to become a threat. Synopsis: “Crazy Rich Asians is the outrageously funny debut novel about three super-rich, pedigreed Chinese families and the gossip, backbiting, and scheming that occurs when the heir to one of the most massive fortunes in Asia brings home his ABC (American-born Chinese) girlfriend to the wedding of the season. When Rachel Chu agrees to spend the summer in Singapore with her boyfriend, Nicholas Young, she envisions a humble family home, long drives to explore the island, and quality time with the man she might one day marry. What she doesn’t know is that Nick’s family home happens to look like a palace, that she’ll ride in more private planes than cars, and that with one of Asia’s most eligible bachelors on her arm, Rachel might as well have a target on her back. Initiated into a world of dynastic splendor beyond imagination, Rachel meets Astrid, the It Girl of Singapore society; Eddie, whose family practically lives in the pages of the Hong Kong socialite magazines; and Eleanor, Nick’s formidable mother, a woman who has very strong feelings about who her son should – and should not – marry.